Tools or toys, cameras, bikes ... lend anything. 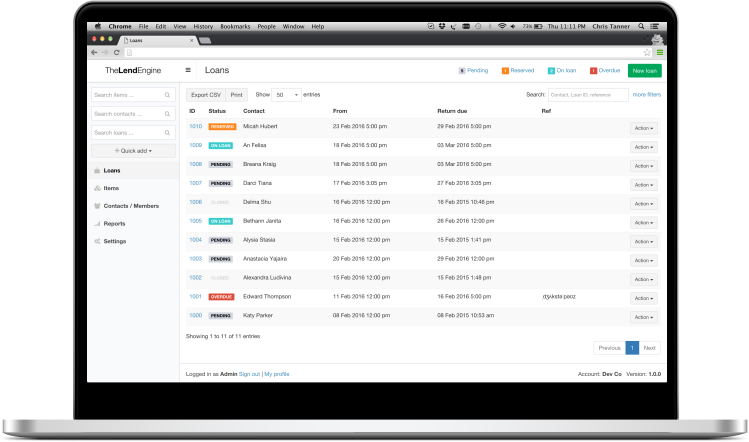 Manage inventory, members, payments and loans. Record information about your members, their memberships, payments and fees. Use custom fields to store additional data. See detailed member history. 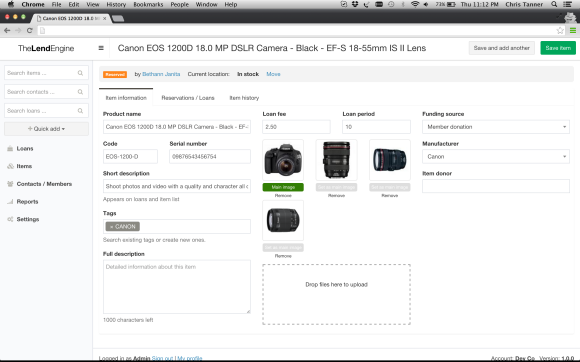 Check in, check out, reserve items, send overdue reminders and more. 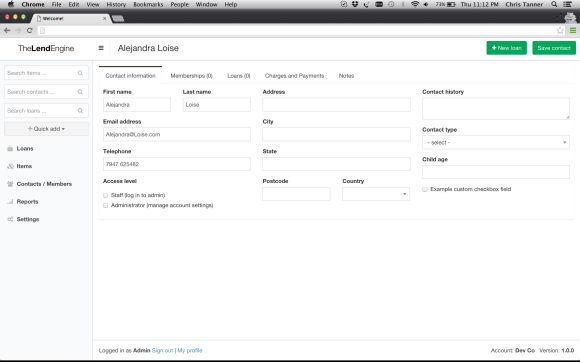 Add custom fields to track extra information and bring your reports to life. 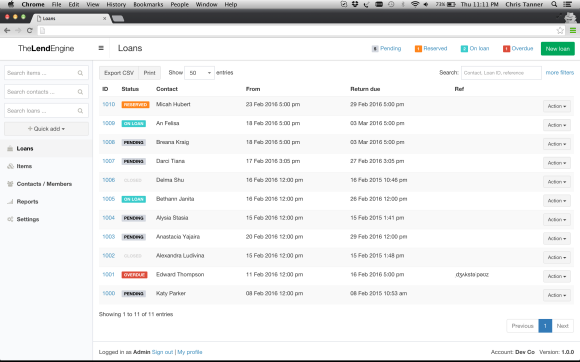 Gain insight into your lending organisation like you've never had before with a selection of flexible reports. 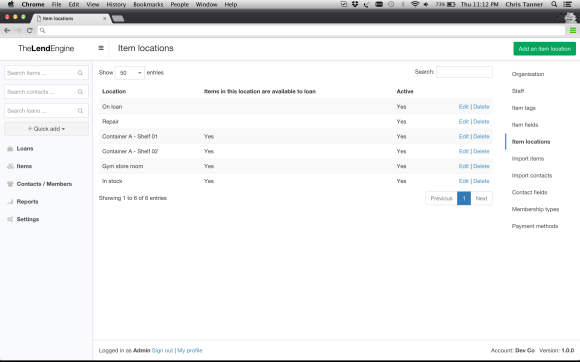 Set up the system just as you need it with unlimited item locations, multiple staff members, and custom fields. 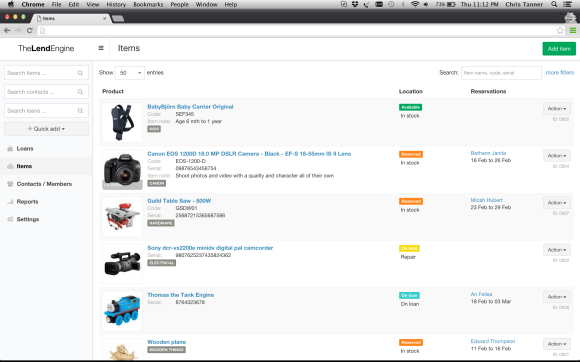 Store everything there is to know about an item in your online database. 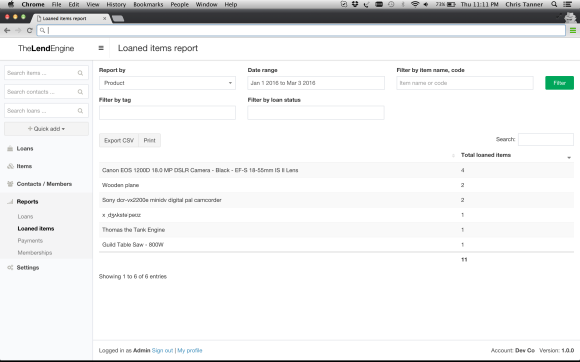 The Lend Engine will also automatically record item history.